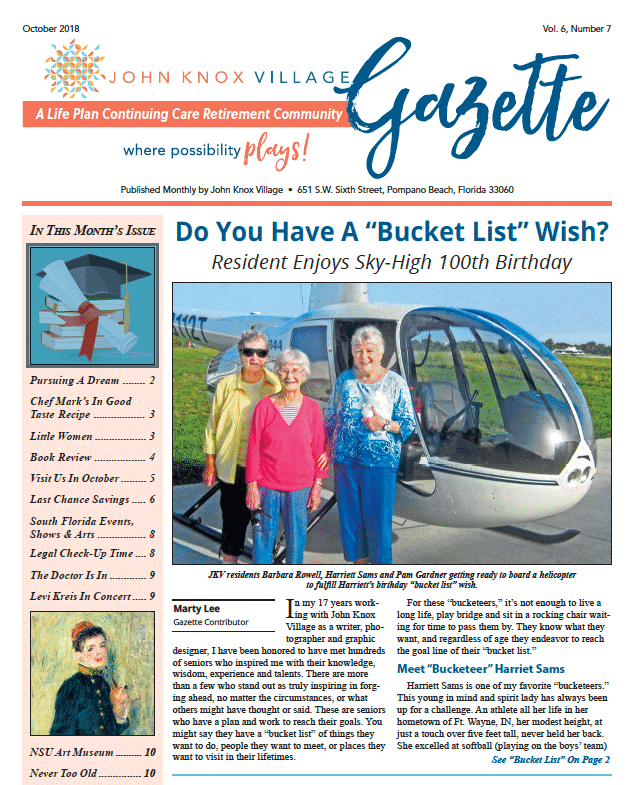 Gazette – October 2018 – Do You Have A “Bucket List” Wish? In my 17 years working with John Knox Village as a writer, photographer and graphic designer, I have been honored to have met hundreds of seniors who inspired me with their knowledge, wisdom, experience and talents. There are more than a few who stand out as truly inspiring in forging ahead, no matter the circumstances, or what others might have thought or said. These are seniors who have a plan and work to reach their goals. You might say they have a “bucket list” of things they want to do, people they want to meet, or places they want to visit in their lifetimes.